There's nothing quite like the feeling of driving on the open road with the windows down and the cool, crisp air whipping past. A nice breeze can be especially pleasant in the warm Australian climate, as we all know how hot and stuffy it can get inside a car that's been parked outside for a few hours. Letting in some fresh air helps to lessen the effects of the heat, but there can be downsides to driving with the windows open. While you will be able to let some air into your vehicle, you'll also be vulnerable to less desirable elements that may end up inside. The number one culprit here is undoubtedly rain, which can make its way through even the slimmest of gaps, leaving your interior wet and potentially damaged. There are other factors to consider too, such as road dust and debris which may get whipped up by other cars and fly through your open window. Fortunately, there is a simple vehicle accessory that can be installed to enjoy the benefits of fresh air without any of these undesirable side effects - a weathershield. 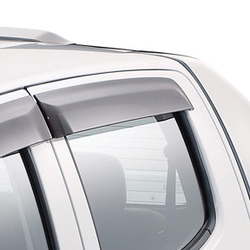 Weathershields provide you with protection from the world outside your car, while still allowing the breeze to circulate through. By having a barrier over the top of your windows, you'll be able to wind them down with no fear, even in the worst conditions. 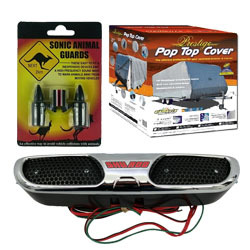 There a few additional benefits to these car exterior accessories that are worth noting. Weathershields remove the harshness of the wind that is hitting your car by providing a diffusive surface to spread the impact. This can be especially helpful if you want to crack a window on the motorway, which is deeply impractical with an unprotected pane. 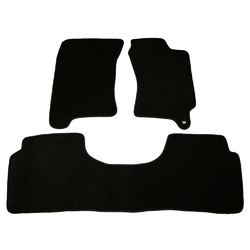 Weathershields will also allow you to circulate air through your vehicle to prevent windscreen fogging, even in the depths of the winter weather. Fogging can present a significant safety hazard, and while many people turn to their heaters in order to clear their view, cool air is actually the quicker option. Finally, weathershields can also provide UV protection from the sun's rays, preventing you from getting burned even with the windows down on a blistering summer's day. 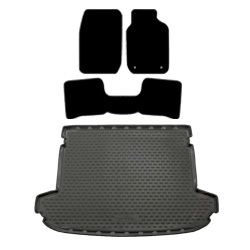 Motoquipe stocks a wide range of different weathershields designed for cars of all models and brands, so you're sure to find one that suits your vehicle. A big part of the selection is the Protective Plastics line, which are the best weathershields on the Australian market. There are different sizes to suit whatever car you might drive, and because Motoquipe sells its car accessories online, you'll be able to easily browse the catalogue to find exactly the right one. If you're looking for something a bit different, or to make a stylistic statement with your weathershield, there are also slimline options that can provide all the same practicality of their full size brethren, but with a more subtle form factor. This modern twist on the classic weathershield is also available in a darker tint, as well as the standard smoke colour. Choose the style and shade that suits you and your car, and enjoy the breeze in safety next time you're heading down the highway. A weathershield can enhance the look of your vehicle while also protecting you against everything from cold drizzle to smouldering heat. For the ultimate driving experience, invest in a weathershield to drive with your windows down and the breeze in your hair. Shipping insurance is highly recommended when purchasing Protective Plastics such as weathershields, bonnet protectors, headlight protectors and rear dust deflectors. Youtube video showing the unboxing of the Protective Plastics weathershields.